From Friday until Sunday the „Fassa Sky Expo 2015” takes place in Campitello. 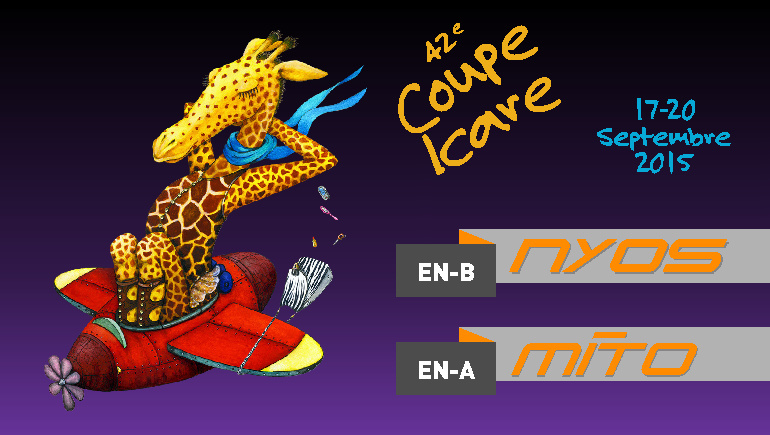 There you have the chance to test our current products and hear the latest news about the NYOS. We are looking forward to meeting you! 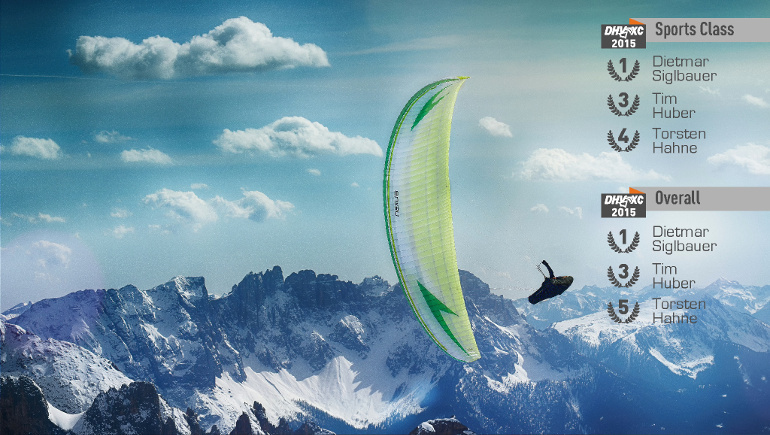 The 2014/15 X-C season has shown that the new paraglider concept used for the NEXUS lives up to its promises: Victory in the sport class and overall in the DHV-XC. 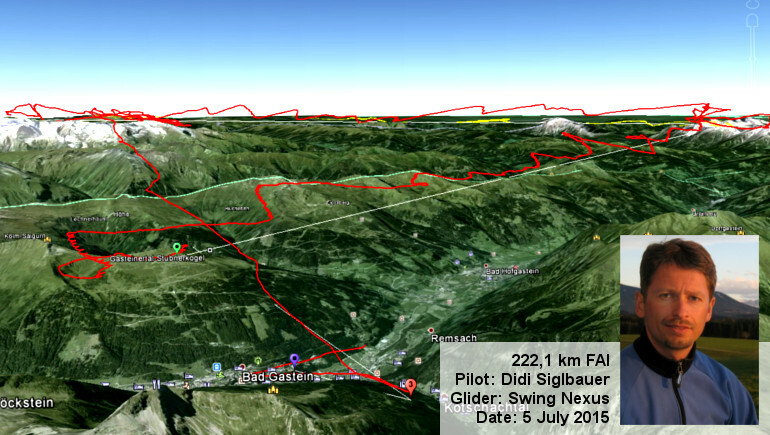 While with the Red Bull X-Alps 2015 the race for Monaco begins, SWING team pilot Didi Siglbauer uses the 5th of July to emphasize again the capability of the NEXUS. 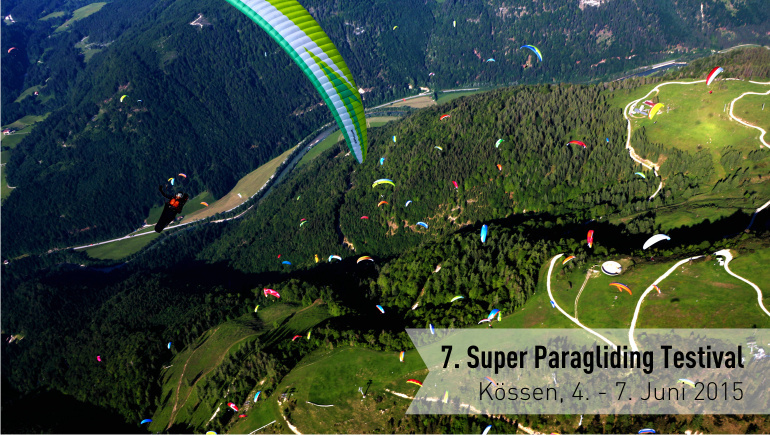 We would like to thank all visitors of this year's Super Paragliding Testival in Kössen. Thanks to you we can look back to a very nice and succesful event. We are already looking forward to next year! On March 20, Armin Senoner succeded to realize a flight with his Mirage 5,5 that will go down in history: He reached 152.9 km/h which is world record. SWING congratulates to this success! The NEXUS-Testival with the first batch of serial wings is now scheduled to take place during the Expo Montegrappa in Bassano (April 4 to 6). 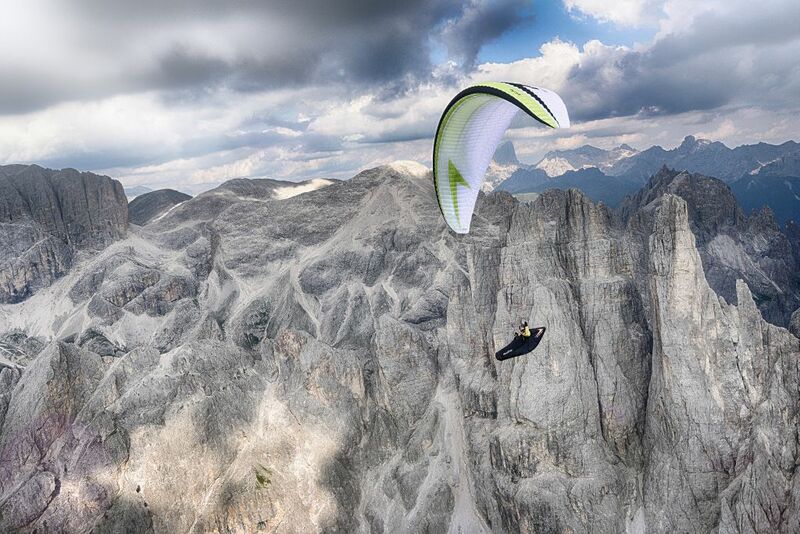 There you will have the first ever opportunity to fly our new all-terrain glider yourselves. Congratulations to Gaby Van Der Stenn and Valentin Delluc of the Swing Speedflying Team for winning the French Championships in Speedriding 2015 with the Spitfire 2 comp and the Mirage comp.